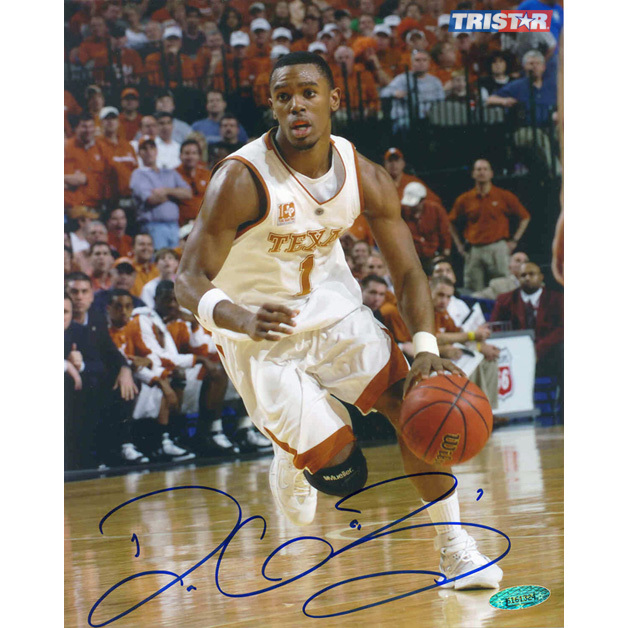 Daniel Gibson has personally autographed this University of Texas 8x10 photo. Each hand signed photo includes an individually numbered, tamper-evident hologram from TriStar guaranteeing it's authenticity, which can be verified at www.tristarauthentic.com. Daniel Gibson starred as the point guard for the University of Texas for 2 seasons. Upon leaving Texas, Daniel Gibson was a key member in the Cavaliers run to the 2007 NBA Finals. Daniel Gibson was named MVP of the 2008 Rookie Challenge after connecting on 11 three pointers.